Almost three years ago we beat Charlton Athletic 3-0 to win promotion as champions but yesterday the under-23s were beaten there by the same scoreline and thus the last hope of a play-off place in the Professional Development League disappeared. We’d been given some the day before when Birmingham were beaten at Bristol City. We were level on points, but still required a better result than they did in their last game, which comes this Friday, because of the goal difference. By then there was another team in the offing. Crewe won at Colchester to go two points clear of both of them to leave them in with a chance of joining Leeds in those play-offs. They might still do, but our result means we are out of it and it is now between Crewe and Birmingham, with the latter needing to beat Hull in two days time. We were joint top at Christmas but there has been a steady decline in the results since. With the two cup runs, reaching the quarter-finals of the Premier League Cup and the final of the Lancashire Senior Cup, it’s probably masked the disappointing return in the league which has seen Leeds, who were behind us on goal difference going into 2019, winning the lead with 12 points more than our final total. It has, however, been another season of improvement. We struggled in this league for long spells last season and only a late recovery kept us off the bottom when we finished with 34 points from 30 games. This season’s return of 45 from 28 games shows the improvement that’s been made. Elsewhere in the league, Leeds and Ipswich are both title winners by some margin. Leeds will win the league by at least 9 points while Ipswich are seven points clear. It’s just that second place to be played for in both the north and south groups. With Coventry and Crystal Palace in the running in the south as Crewe and Birmingham are in the north. It’s even tighter in the south. Coventry are currently second with 45 points having completed their fixtures and they are clear favourites. Crystal Palace are three points behind with one game to play. Palace will need to win that last game tomorrow against Watford by at least four goals. The player featured this week is defender James Clarke who has been released after one year as a full time pro. Able to play on the right or centre of the defence, he lost his place through injury this season and the emergence of Jordan Cropper and Bobby Thomas has left him unable to regain his place in the team. Last season he got his first call up for the Republic of Ireland too and has impressed during his time with us. 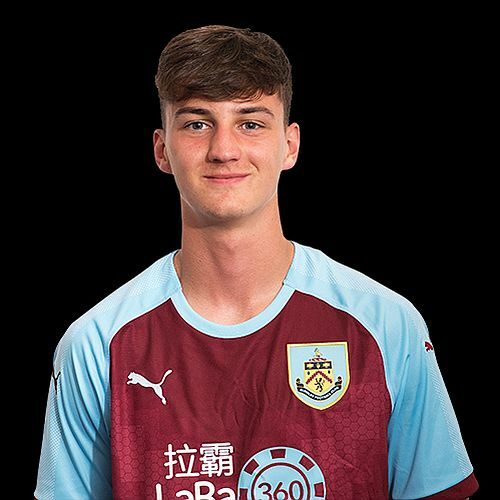 Up the Clarets wishes him, and the other players released, the very best. Last week’s results, the remaining fixtures, the league’s leading goalscorers, our goalscorers and the current league tables are all below.